Spring Runoff - It's here. It's early. It's biggish. Spring runoff is upon us in western Montana and it is early. Early by a couple weeks (more like a month) at the least. It was a weird winter and spring. In the valley, it was pretty mild, but we maintained a pretty healthy (read average) snowpack with a good deal of low elevation snow. For much of the spring, the area rivers were running two to three times the mean historic spring flows. With the recent string of high 70 degree days, runoff was initiated. 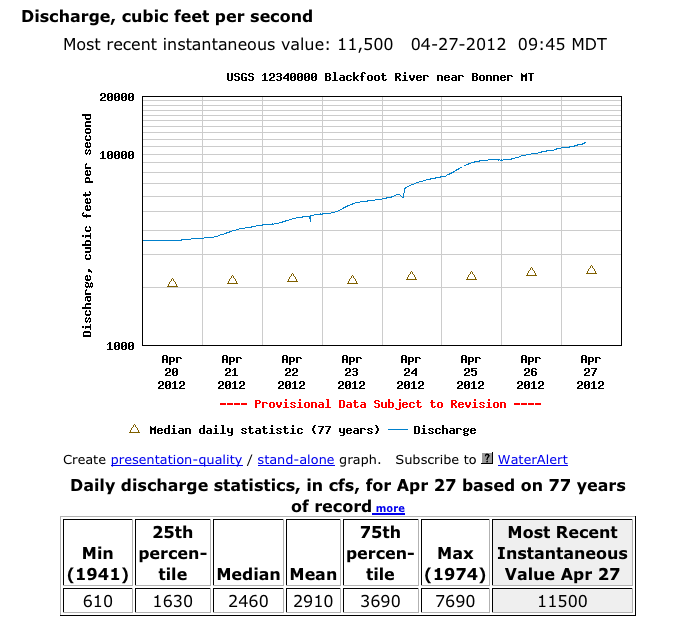 We are experiencing record breaking flows for this time of the year on all four of Missoula's famous local waters. Certainly not the record setting flows of last year. But considering that it is April 27th and the Clark Fork above Missoula is already pumping at 17,200 cfs, we are experiencing record flows for late April. 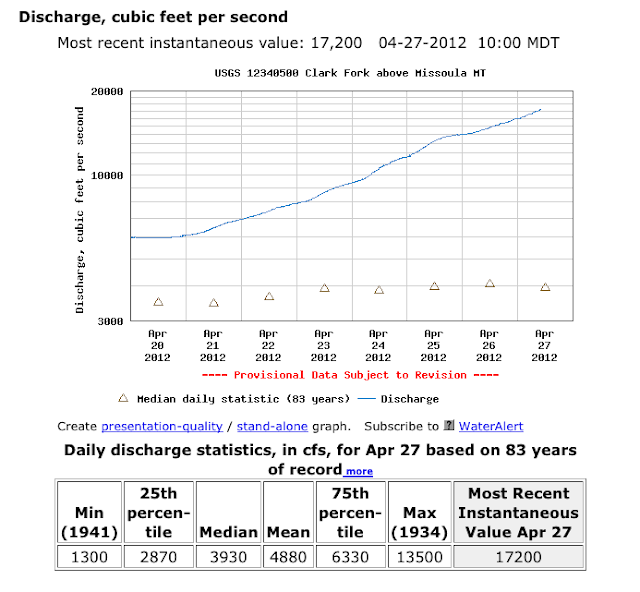 In fact, the historic maximum discharge for the Clark Fork above Missoula on April 27th was 13,500 cfs (set in 1934). Similar stories can be told about the Bitterroot and Blackfoot Rivers, as well as Rock Creek. 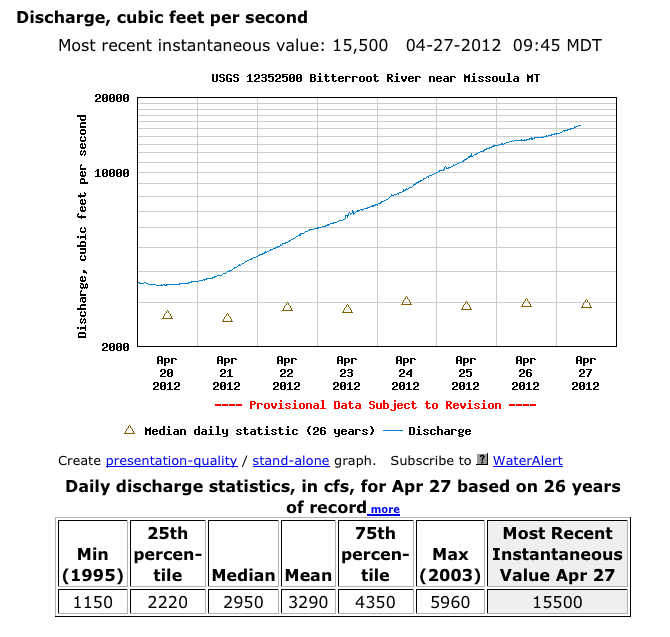 The Bitterroot at Missoula is flowing at 15,500 cfs, breaking the previous April 27th record (2003) of 5,960 cfs. 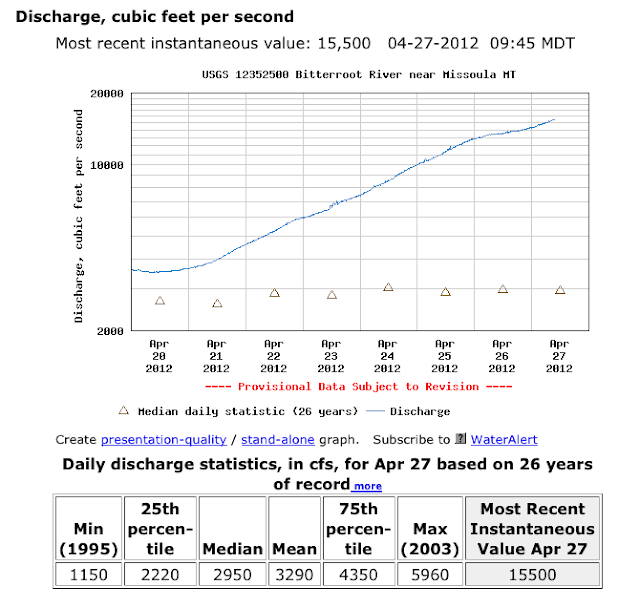 The Blackfoot at Bonner is flowing at 11,500 cfs, surpassing the previous April 27th record (1974) of 7,690 cfs. Rock Creek near Clinton is flowing at 3,380 cfs, breaking the previous April 27th record (1974) of 1,540 cfs. I'm blaming this on La Nina. Although, this could be the first year that I truly hit the Salmonfly hatch. Everyone else probably has the same idea. Side Note: Golden Stones could be quite good this year as well. Labels: golden stone, Missoula, missoula fly fishing blog, Montana, montana fly fishing blog, salmon fly, spring runoff, spring runoff??? Thanks to everyone for participating in the Fly Vines giveaway. The Random Number Generator has spoken. By my count, there were 39 official entries to the FLY VINES giveaway. In an interesting twist, the RNG chose 1. That's right, the number 1. El Rakeman, come on down. Internet Proof. The number 1 was chosen by the RNG. It never happens, despite the probabilities. Last month, I went steelheading with LG (of 406 Productions, 406 Outfitters, Getting Guided, and Fly Vines) and Matt Breuer (of Ponoi River Company). LG is a man of many hats. All of them ugly. One of those hats is Fly Vines. Fly Vines takes used fly-lines and recycles them to make sunglass-retainers, bracelets, and lanyards. I have been wearing my sunglass retainers and lanyard for more than a month now and I am a big fan. Gone are the neoprene and cloth retainers. Gone are the ropes of thread from around my neck. The retainers can accommodate thicker frames which other retainers struggle with handling. 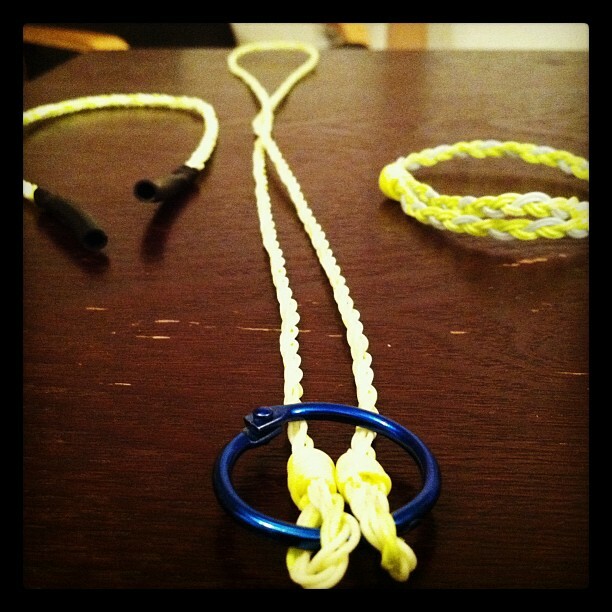 The lanyard, a simple and light-weight design, carries the basics (tippet, nippers, and forceps) on the water. With previous lanyards, I had too much hanging off my neck. Too many points for my fly line to get tangled around. Too many things going unused. I like the simplicity of the lanyard. At a recent showing in Missoula, I won a full set (lanyard, sunglass retainers, and bracelet) of Fly Vines. Since I already have my fair share of the recycled fly line products, I figured I would share the love with the internets. So, here are the goods. The winner of this giveaway will receive the Fly Vines lanyard, sunglass retainers, and bracelet. 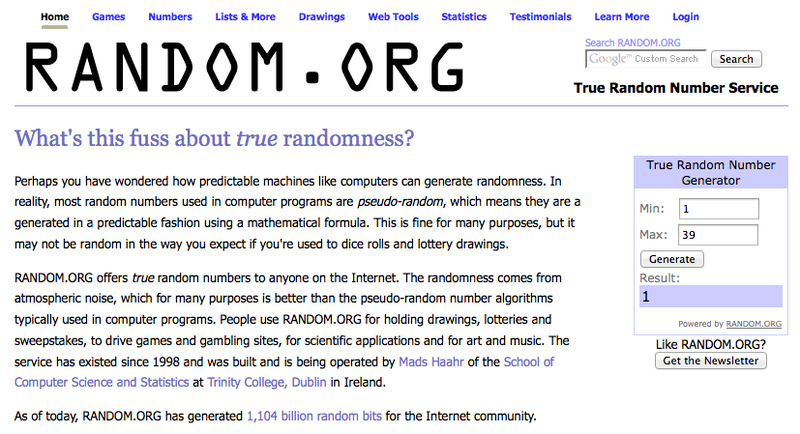 Each person has the chance for three entries into the giveaway. You get one entry for each of the following completed actions. Entry #3) Like Fly Vines on Facebook and leave a separate comment reading "I like Fly Vines on FB"
The act of like-ing or following does not enter you into the contest. The entry is official when the comment describing the action took is submitted. If you already like YGF on Facebook, you aren't entered until you leave the comment "I like YGF on FB." Same goes for Fly Vines. Count 'em - that is three separate comments, resulting in three separate entries into the Fly Vines giveaway. The contest/giveaway will close at 12:00 AM (Midnight) Mountain Time on Tuesday, April 10th, 2012. 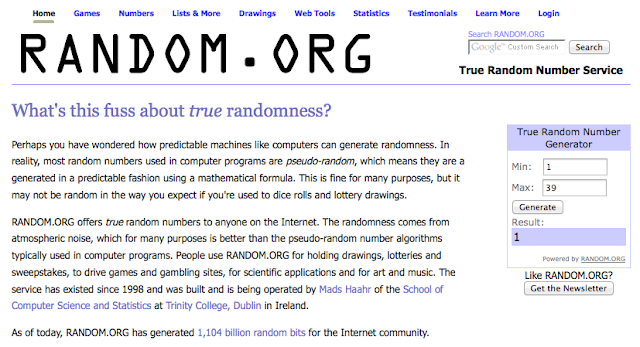 The winner will be chosen via the dastardly RNG and will be announced on Tuesday, April 10th, 2012 around 12:00 PM (Noon) Mountain Time.